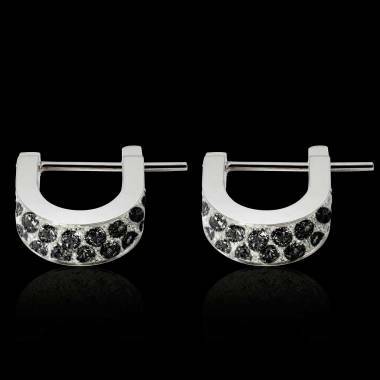 Black Diamond Earrings for Women can be accessorized with any night outfit, notably if you are wearing black. However, they bring a touch of original elegance to any occasion whether you have a classic look, a casual look, or a modern look. This mysterious diamond with a very striking look goes particularly well with other precious gem stones, notably diamonds or pearls. 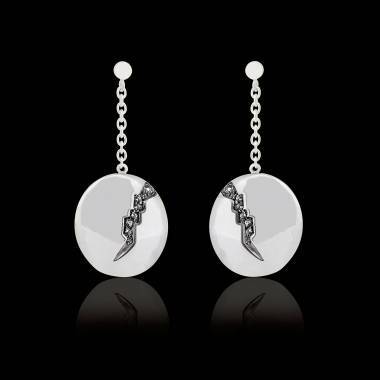 Jaubalet, specialists Customized of High End Jewellery can bring any kind of earrings to life in gold, black diamonds. 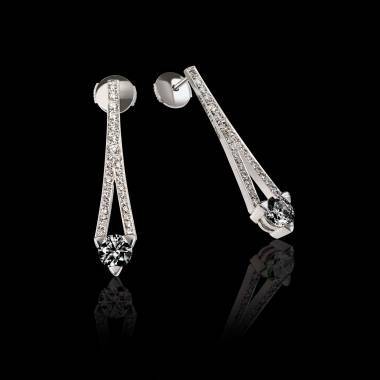 Jaubalet Paris has many collections of Black Diamond Earrings. They will illuminate your face and give chicness and elegance to your outfits. Your Black Diamond is generally paired with metals and precious stones to reach its full potential. You may order your unique earrings online. They may also be customized via our customization tool on the the website. To clean the Black Diamond Earrings, put them in a small amount of lukewarm water with a little soap. Let that sit for a few minutes, not too long. Then use a small brush on which you may lightly rub the places where the skin and the jewellery meet, but don’t forget the stone. If your stone is set, clean the parts that are set. Rinse and wipe with a micro fibre rag. You will receive more advice to care for your piece, particularly if it is made up of different metals and needs a unique treatment.